For the past five years, a military cadre has been pushing the Pentagon to make greater use of social scientists and other cultural experts. The idea is to understand a warzone’s “human terrain” as well as it maps its physical geography. As I report today in a new article for Nature, it appears now the the Pentagon may have found another unique application for cultural expertise: interrogating detainees. 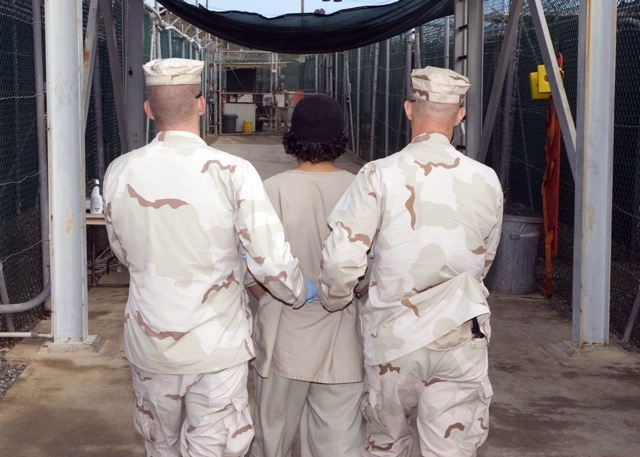 Cultural expertise was “key in the support I was providing to the interrogator to develop a relationship with the detainee”, said Julia Bowers, principal senior analyst for human terrain at SCIA, a company based in Tampa, Florida, that provides socio-cultural services for the military and intelligence community. “Typically human-terrain analysis is more of a human data-gathering and mapping approach,” Bowers said at a conference in San Antonio, Texas, on 16 October. In this job, her assignment was more to help the interrogator to gain the detainee’s trust. The program was experimental and ran “for just a few months,” she said. Bowers worked with the U.S. Central Command’s human terrain analysis branch, which is separate from the Army’s Human Terrain System (HTS), a better known program that embeds social scientists in combat units. Both, however, are designed to provide the military with better cultural understanding and expertise. The interesting question is whether anyone associated with the HTS, which has been dogged with controversy over its five year existence, has been involved with interrogations. One former employee me that this is precisely what appears to have happened in 2009; but when the employee complained to the program’s senior leadership, they did nothing. Fondacaro and HTS co-founder Montgomery McFate recently wrote a history of the program. And in that history, the pair explained repeatedly that HTS should not be considered an intelligence program. When I asked the program’s current head, Army Col. Sharon Hamilton, she was emphatic that HTS personnel would and could not, at least under her leadership, take part in helping with interrogations, because it would violate informed consent — the idea that the subject of research agrees to take part in a particular study. “We have a strict rule and the units understand this,” she said.